When I studied English in college, I learned that this language is more complicated than most American people realize. Foreigners understand how complicated it is because learning to read and speak it is very difficult. There is not only grammar and punctuation to worry about but also the phonetics of the language. Trying to read by phonics just does not work all the time. The best way to learn how to speak English, in my opinion, would be to listen to a book on CD while reading along. The reader learns the different pronunciations of words along with the definition of words by association or how the word is used in the sentence. What fascinates me the most about the English language is the root words. Most words derived from German, Celtic, Old English, Irish, Latin and Welsh to name a few. So in essence the English language is just a pot of mixed languages. Because of this rich language though we see that it is ever evolving. The language takes on a mixture of words today that are not just considered slang but are put in the dictionary. Where will the English language be in another 100 years? With all the influx of immigrants from different countries the language could change even more. Today we see that text messaging is fading away because the younger generations want to snap chat or use emoji’s to communicate with. There are poets, philosophers and writers everywhere who turn the English word into something magical that touches ones soul; Robert Frost, Ernest Hemingway, Mark Twain, Virginia Woolf, Charles Dickens, Plato, Aristotle, and Socrates. 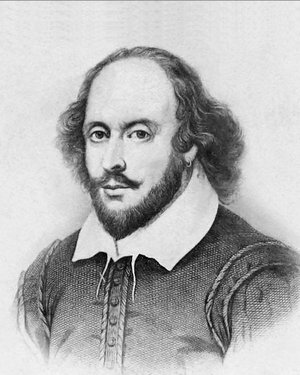 But most influential to the English language was William Shakespeare. We still use his words today. One poem I came across recently gave me pause in how we use words and how we create them. How is it we have words for almost everything under the Sun but not for a parent who loses a child? That is sad. If I could contribute to the English language it would be to fill the gaps in our language where people have not before. Words are how we communicate in this world. We can be better understood by using the right words. Think how peaceful the world would be if we could communicate more clearly and people understood each other. That is the world I want to live in. My mother always used to say, “Choose your words carefully”.